Some pipelines may contain gases that are odorless. It is important to use your ears and eyes as well as your nose to recognize a potential issue. 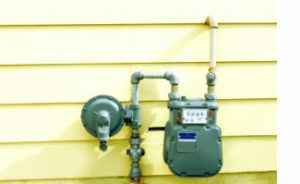 If you have gas appliances and smell sulfur or rotten eggs, you may have a gas leak. Do not turn on or off lights, or use electronic devices, including cell phones, in the house or building if you suspect a leak. Leave the house or building immediately. When you are a safe distance away, call 911 or the gas company. If you have gas appliances, you may also consider installing a carbon monoxide monitor to detect and prevent carbon monoxide poisoning. If you see, hear or smell the signs of a potential pipeline leak near a pipeline right-of-way, leave the area immediately and warn others to stay away. Call 911 and the pipeline company when you are a safe distance away. Do not use automobiles, electronic devices or equipment near a suspected leak. Make sure your family knows the signs of a pipeline issue.